Hunting around for a gift for a UX designer? Look no further! We’ve got 20 awesome ideas right here. We all know that some people are easier to buy gifts for than others. And far be it from us to label an entire profession. But if you’ve got a UX designer in your life, you might be looking for a little assistance when it comes to picking their gift out this holiday season. So at Justinmind, we thought we’d help you out with a bit of inspiration. We’ve found 20 awesome gift ideas for UXers and designers in a range of categories, from books and every day carry items, to gadgets and gear for the office. Our first suggestion is a year’s subscription to Justinmind. Help a UXer take things to the next level with the best all-in-one prototyping tool for web and mobile apps. The professional subscription includes extra UI kits, web interactions, mobile gestures, templates and masters, animations, data lists and much more. Used by UX designers around the world, Justinmind is the tool for prototyping for web, iOS and Android apps. It’s impossible to overstate the central role of color in design. Color triggers emotions, sets tone and delivers the first and often most lasting impact of any design. At the same time, color can be culturally relevant and even politically sensitive. Designers know how important it is to get color right. So why not treat the UX designer in your life to one of these cool, colorful gifts? 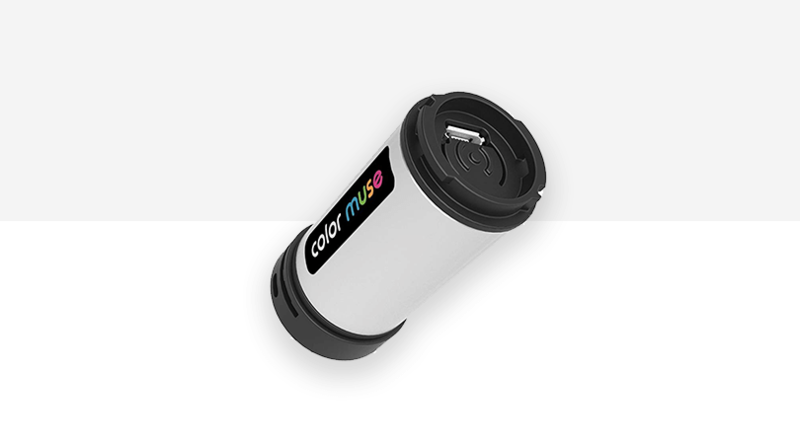 Color Muse ($49.99) lets you scan any object or surface to see what color it is. Simply point at the color you’re interested in and the accompanying app with display relevant information including the RGB color code. You can create palettes in the app and share them or export to Adobe Creative Suite. The device itself is only 2.17″ by 1.08″, so it’s easy to carry around and scan colors on the go. Color for Designers ($32.03) is a handy and complete guide to working with color for layouts and illustrations. Suitable for UX design newcomers and seasoned professionals, Color for designers explains the theory and practice of color in design without getting bogged down in jargon. These cool RGB/CMYK stickers ($2.00) can add a splash of color to a laptop, electric scooter or meeting room table. There are hundreds of excellent titles out there covering user experience design principles and practice. Here are our favorites. If you choose one, don’t forget to make sure the UXer you know doesn’t already have it! 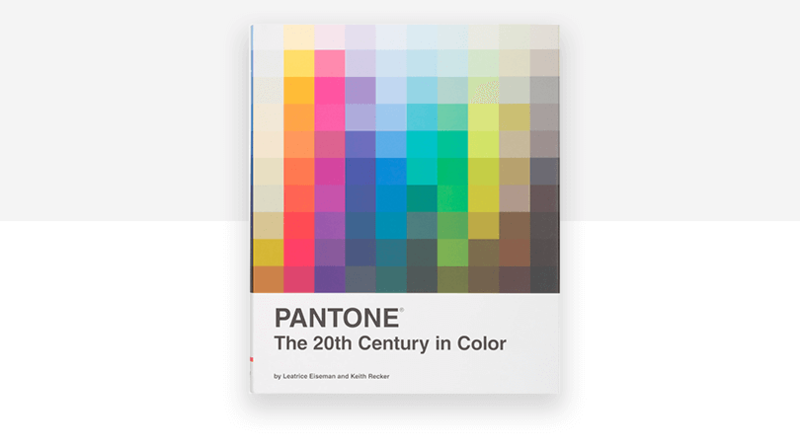 Pantone: The Twentieth Century in Color ($34.34) is more than just a coffee table book about color. It’s a history of how color use has evolved in American design, covering the different palettes used in each decade from the Universal Exposition to the new millennium. It’s also an indispensable resource for any designer. Considered something of a Bible here at Justinmind (we’ve all read it! ), UX for Lean Startups ($23.33) is a practical guide to integrating Lean UX techniques into a startup. And it’s pretty funny. A must read. This is one of the most popular UX books of 2018. The Design Thinking Playbook ($22.35) aims to change the current mindset and bring Design Thinking into the heart of product development. Inspirational and compelling, this is a real game changer. Orchestrating Experiences ($38.99) is all about designing the very best customer experience across multiple interactions and touchpoints. Orchestrating Experiences covers both the strategy and the tactics of experience design, including numerous real world examples. Apply for a UX design job in practically any firm nowadays and you’ll be faced with a challenging test. This book, Solving Product Design Exercises: Questions & Answers ($36.32) aims to train UXers to prepare for a design interview and then to shine in the sorts of exercises you might meet. Perfect for anyone who wants to join or progress in the world of UX design. A personal favorite, Saul Bass: A Life in Film and Design is a gorgeous book that takes an in-depth look at the life and work of one of America’s greatest 20th century designers, Saul Bass. Internationally renowned for his movie titles (we LOVE North by Northwest) and multiple corporate logos, he helped establish the design language of the 1950s, and his influence lives on to this day. Plus, Martin Scorsese wrote the foreword! Unsurprisingly, people who are a little obsessed with good user experience also happen to love well-designed products. Here’s a run down of some of our current favorites. 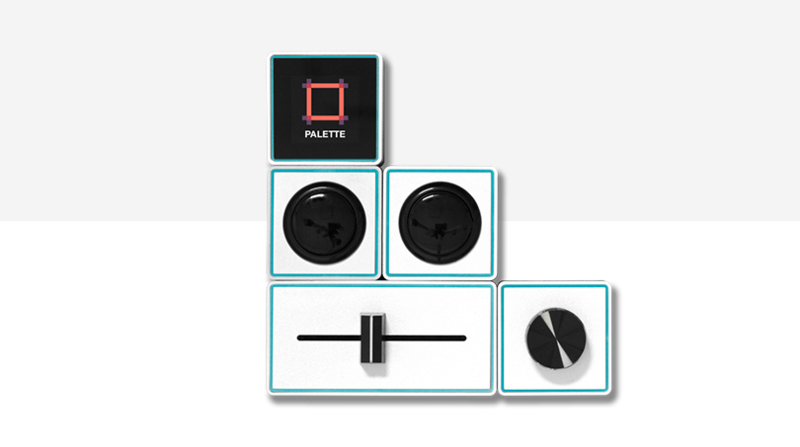 Palette Gear ($199.99 for the Starter Kit) is something else. It’s designed to help anyone working in a creative role by letting them build a completely personalized controller, reducing editing time by up to 30%. Scriba (€65.00) is a stylus for iOS and Android, designed ergonomically for a better drawing experience. Including a squeezable body and haptic feedback, Scriba can also be programmed with up to three functions, something no other stylus can currently do. The Vifa Reykjavik ($229) is a Bluetooth speaker which sounds great but looks amazing. It’s well built, too, and comes with a built-in leather strap so you can carry it comfortably and safely wherever you want to go. If you know a UXer who’s looking to update their smartphone, Blloc (€365) might be just what they’re looking for! It’s a strikingly minimalist phone with a few differences. Firstly, it’s entirely monochrome which, according to its creators, makes it easier on the eye and less of a battery drain. But it’s the Blloc’s unique and original user interface which allows for grouping your apps into a single information flow which really stands out. The Vanamco Device Lab ($169 including shipping) is a super smart way of keeping all your development devices in one handy location on your desk, with zero clutter. We all know that Wacom makes the best graphic drawing tablets. The Intuos Pro Paper ($346.99) takes things to another level, letting you capture editable versions of your real pen on paper sketches. You can also work 100% digitally, if you prefer. A few handy items that no self-respecting UXer would go without. When it comes to notebooks, we can safely say: Moleskine is old hat. 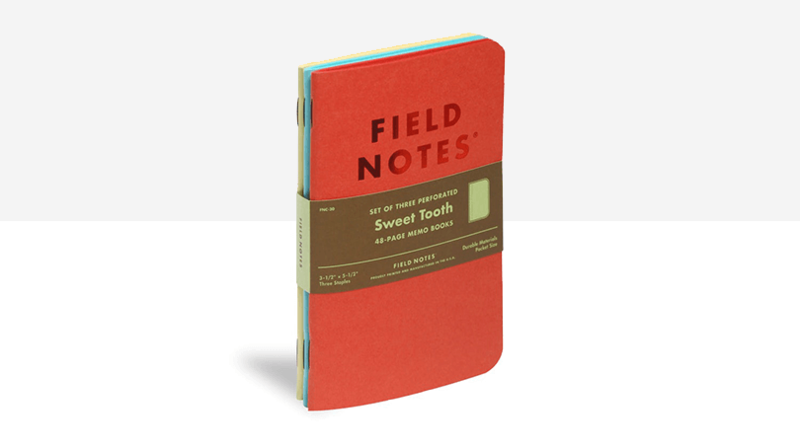 Field Notes (from $9.95) is where it’s at. Coming in all sorts of shapes and gorgeous designs, these are notebooks where design comes first. Super handy when sketching out a UI, grab a set of UX stencils ($8.99) with all the icons and UI elements a UX designer is likely to need. This stylish key ring in the shape of the classic Photoshop toolbar ($16.00) is pretty much guaranteed to make other designers sick with jealousy. Pantone has a ton of smart (and brightly colored) merchandise on their website, but our current favorite is this gorgeous stainless steel drinking bottle ($20.00). With a capacity of 21.3 oz, it’s perfect for the office or out and about, and will help reduce plastic use. We love the Yellow 012 model, but there are a total of 8 colors to choose from.